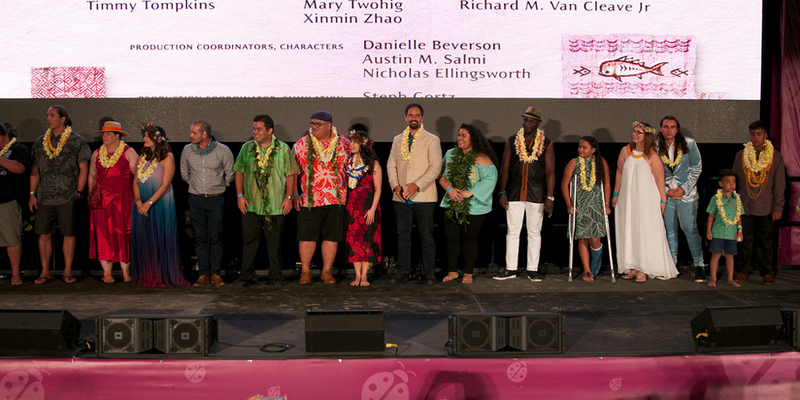 Cast members of the ʻōlelo Hawaiʻi-version of Walt Disney Animation Studios’ Moana, including Auliʻi Cravalho, walked the blue carpet for its premiere at World Oceans Day on June 10 at Ko Olina Resort. The movie stars Cravalho as Moana, University of Hawaiʻi at Mānoa student Christopher Kaipulaumakaniolono Baker as Maui, Waiʻanae’s Nicole Scherzinger as Sina, Kelikokauaikekai Hoe (Mānoa, BA ’95, MA ’04) as Aliʻi Tui, Kalehuapuakeʻula Kawaʻa (Kapi‘olani CC, AA ’10; Mānoa, BA ’13) as Puna Tala, Kamakakehau Fernandez as Tamatoa and 24 locally cast ʻōlelo Hawaiʻi speaking actors and singers. This is the first time a Disney picture has been re-recorded in ʻōlelo Hawaiʻi. 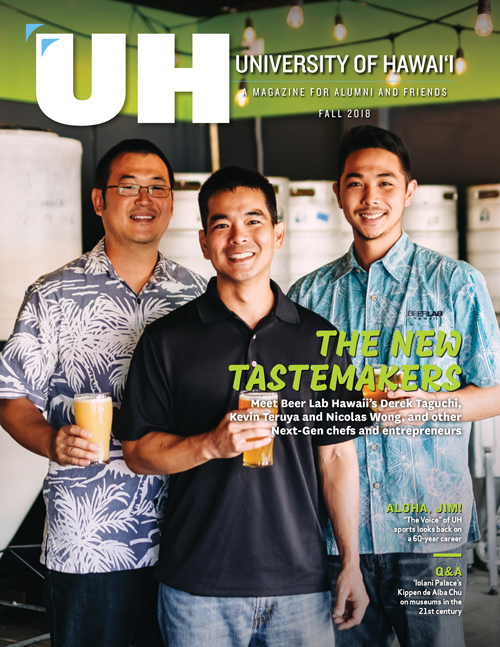 The movie, a collaboration of five UH programs, is spearheaded by the Academy for Creative Media System and was recorded at the sound studio of Honolulu Community College’s Music and Entertainment Learning Experience (MELE) program.